In this post, we have a simple but best way to celebrate mother’s day or express your feelings. Everyone wants to make their mom happy on the occasion of mother’s day. And the problem is they can’t find wording for express their feelings. 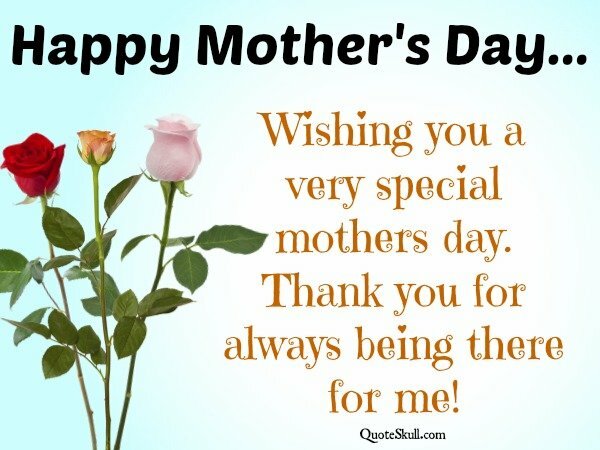 In this post, we bring Mothers Day Quotes for all the Kids who want to wish their mom. You can send these beautiful wordings to your mom and make her smile and proud of you. If you like to share these quotes on facebook, Twitter, WhatsApp or anywhere you can use social share button which is given bellow. We hope you would like our collection and idea too… Happy Mother’s Day to all. My Mother, my friend so dear throughout my life you’re always near. A tender smile to guide my way You’re the sunshine to light my day. By the way, you show you care.